Are your fish eating plastic? We want to find out! We will be collecting fish guts during Newfoundland’s food fishery this summer (2015) to see if fish are ingesting plastics in this area. This is part of a larger project to investigate the state of marine plastic pollution in Newfoundland and Labrador, and to see how plastics behave in food chains. Out of 205 fish guts we received, 5 had ingested plastics. That’s 2.4%, which is a lower ratio that most other studies of plastic ingestion in fish caught for food! At first we thought there was much more plastic because the naked eye cannot see as well as a microscope and cod fish eat a lot of odd things, but now we know there is a small percentage of plastics ingested, along with rocks, bones, shells, and other inorganic objects. If you provided us with some guts, your data is here. Thank you! We will also hold a public meeting in Petty Harbour & St. John’s about what we find in January 2016. 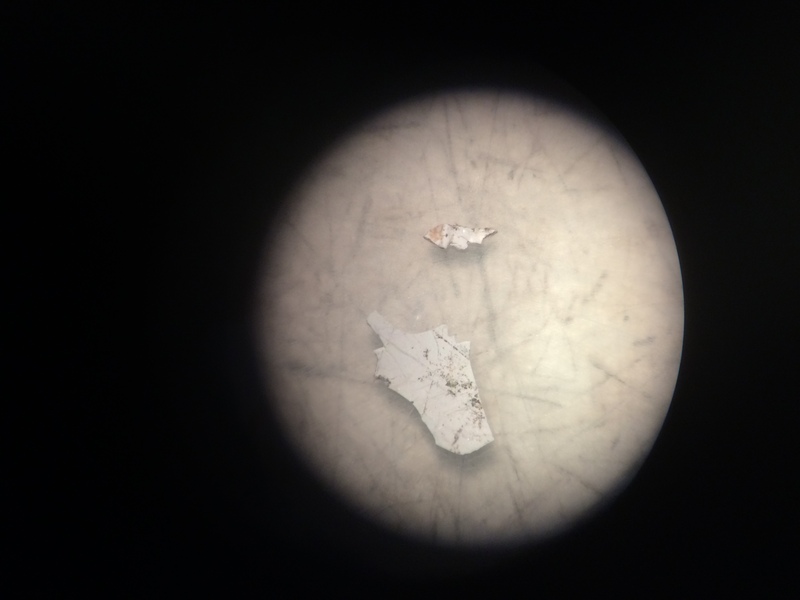 Photograph via a microscope of one of the pieces of plastic found in a cod fish. Image credit: Emily Wells. This project is based at the Memorial University of Newfoundland, and is funded by a Social Science and Humanities Research Council of Canada (SSHRC) Insight Development Grant.